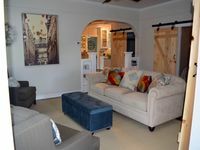 Property 1: Quaint 'Gretna Getaway' Cottage w/ Screened Porch! Stately Victorian Cottage With Wrap Around Porch Situated On A Walking Street. Property 6: Stately Victorian Cottage With Wrap Around Porch Situated On A Walking Street. Spacious cottage with a view of the lake and dog friendly too. Property 12: Spacious cottage with a view of the lake and dog friendly too. Nestled on a quiet walking street but close to it all! Property 18: Nestled on a quiet walking street but close to it all! What a view and all the amenities too. Property 22: What a view and all the amenities too. Step Back In Time...enjoy This Vintage Cottage With Tranquil Porch Area. Property 23: Step Back In Time...enjoy This Vintage Cottage With Tranquil Porch Area. Relax close to all the Amish Country attractions. Affordable, Family-Friendly. Property 29: Relax close to all the Amish Country attractions. Affordable, Family-Friendly. Property 32: Relax & Enjoy the quiet country setting! Property 42: Cozy Getaway Near Hershey! Cozy Retreat To Relax And Refresh! Property 43: Cozy Retreat To Relax And Refresh! Two porches, one screened porch and one enclosed porch ! Property 44: Two porches, one screened porch and one enclosed porch ! Screened porch with a fabalous view of the lake. Property 49: Screened porch with a fabalous view of the lake. Very nice cottage. Clean and neat. It was nice to get away for a long weekend and wake up to views of fields and cows. 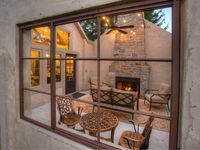 We loved the outside space where we could keep our dogs with us, but also enjoy the fireplace and look up at the stars.